Want to be welcomed as an honorary resident on the French Riviera? Then rent a Pebbles apartment. Shopping in markets and lunching alfresco is what the Cote d'Azur's one million locals do best. Alas, if you rent in the centre of Nice (population 350,000), Antibes or Cannes (both 75,000) there are downsides as well as upsides. Although these cities are smaller than Paris or Barcelona, city apartments here tend to come with neighbours on both sides and pavement cafés underneath. Before you book, our guide allows you to consider if a holiday rental apartment is truly for you. It's all about the bottom line. If you are staying for more than a weekend, renting a one-bedroom holiday apartment is routinely half the price of a French Riviera hotel. If you're a party of four, six or eight, those figures are even more marked. A three-bedroom apartment will always be far cheaper than renting three hotel rooms. Holidays are about spending precious time together. It's much more pleasant to share a home with friends and family than it is to meet in the hotel lobby. If you're a family with small children, hotel rooms just don't cut it in the 21 century. Gone are the days when husband and wife split up to share a bedroom each with a child, or worse; all cram into a "family room" where the adults whisper through the night, TV on ultra-low whilst their little ones snore next to them. Provençal markets. Locals pick up goat's cheese, fresh strawberries and flowers after their morning coffee. The ability to breakfast on baguettes and homemade jam saves a fortune as compared to hotel buffets, and allows you to totally merge into local life and local tastes. Join the canny locals. Those who are lucky enough to live slap bang central don't worry about cars. They leave the headaches of traffic and parking spots to those living on the outskirts. Follow your neighbours to the Cote d'Azur's fabulous public transport network. Every Pebbles apartment is linked by the 1.50€ -per-ride bus network, tram or bargain coastal train. Need for speed? Locals simply rent an Auto Bleue electric car or pedal a Velo Bleu shared bike for the day. Your time is your own. In a holiday rental apartment you can breakfast at 11am, sip rosÈ in the bath, or dine anytime between 5pm and midnight - all without being disturbed by the hotel maid. If you want to have a lazy day at 'home' without being bothered, this is the option for you. Channel your own Patricia Wells. Or Yotam Ottolenghi. Or Jamie Oliver. If you live like a local, you can prepare your own stuffed zucchini flowers and Provençal lamb chops for a fraction of the price of a restaurant meal. Cooking at home is particularly convenient for guests with dietary restrictions or kids. Local locale. In Nice, Cannes and other Riviera cities, the hotels are stuffed into one seafront strip. Not so the city's rental apartments, which are interspersed into the grandest apartment blocks in town. Parks, libraries and neighbourhood restaurants adorn each quartier. Become a Latin lover. Want to cook cassoulet or utter sweet nothings in French? Dozens of courses make the Riviera the ideal place to take a class in cookery, language, painting, sailing or almost any other local pastime. Guests swear by Villefranche's Instutite de Français, Rosa Jackson's cookery school and children's class Le Kids Club. Home from home. Literally hundreds of guests return to Pebbles 200 holiday rental apartments each year. Each property has WiFi, a washing machine, fine linen and a selection of books and DVDs - all the amenities you're used to. Feeling 'at home' during your holiday is the biggest upside we can offer. You are living in the city centre. Although Nice, Cannes and Antibes are far smaller than London, Paris or Barcelona, they are still buzzing towns, with traffic noise, late night party goers and various events. This is especially true in summer. But if locals are partying during the Cannes Film Festival, the Fete de la Musique or the Nice Carnaval, we suggest you join in the fun. We're happy to recommend our quietest apartments if you contact us. Public works do happen. From Paris to Perpignan, the French love their grands projets. This is especially true in Nice where local authorities are constructing an underground Tramway that will whizz from the city centre to the airport. When completed in 2018 it will be a boon for residents and 'visiting locals' alike, but not without some pain for the locals in the process. There's also scaffolding, digging up of pipes, relaying roads and all manner of works going on at any time, just like in any other city. They stop and start, don't run to schedule and we're either not informed at all, or not reliably informed. We aim never to disappoint our guests, so we want to let you know that if you can't handle the possibility of some building works interrupting your stay, you might want to think about a different location. Meet the neighbours. All of Pebbles apartments are in prestigious areas of the city. A morning 'bonjour' followed by a stroll to your 'local' cafÈ lets you soak up the French neighbourhood vibe. However, neighbours can and will invite a dozen of their friends around for a weekend dinner. Our rental apartments should be no noisier than a hotel room. But be prepared, as neighbourly noises are something that we can do very little about. Neighbours have rights too. You might be on holiday, but your neighbours are going about their daily lives. Great if their daily lives involve them leaving for work at 9am and coming back at 8pm, but there's no way of knowing that this was the week they decided to take holidays for renovation of their bathroom, kitchen etc. They are entitled to do this, without any notice to us or anyone else in the building, as long as they follow city laws of generally not starting before 8:30 am, finishing before 7pm and not working on Sundays. Be prepared that work in the building might happen, and this sort of work is something we can do very little about. Interruption in services happen. Locals leave their apartments in the morning, on their way to work to find a sign on the door saying the plumbing / gas / electricity is being turned off for the morning. They have to take this on the chin and know it's part of living in the city. It's rare for interruptions to utilities happen, but they do from time to time. We won't be able to prevent it, or change it if it does. We will do our best to keep you informed. If unexpectedly being without a utility for a few hours would be very upsetting for you, you might want to book a hotel. Thought these things can happen there too. You have to clean up on departure. Only joking! Pebbles apartments offer the best of both worlds. You live at 'home' like a 'local' with a rosé in the fridge and Edith Piaf on the stereo. All we ask is that you return everything to its place, and take out all you have brought in. Then, like a hotel, we thoroughly clean the place when you leave. We will inform guests as soon as we become aware of any major problem inside an apartment that might impact on their stay. 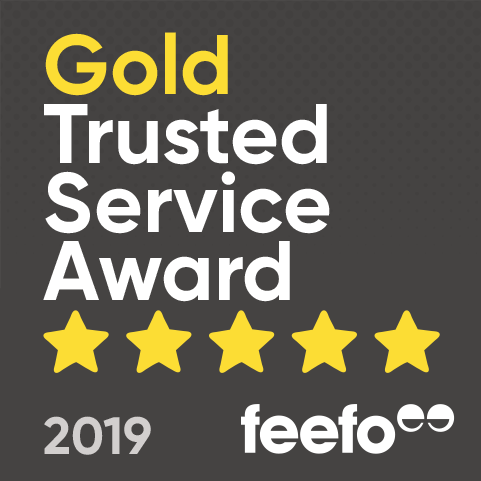 Guests can then decide whether to be fully refunded, moved to alternative accommodation or compensated for the disappointment but continue to reside in the property for their stay. Generally, we will not inform guests about any construction works going on outside the apartment, for example in a building, street, or local area. It is impossible to know about all works, start and finish times and schedules of public contractors / private contractors. We're afraid even if we do know about works, we cannot move a guest because of works. There is a contract in place with the Owner. This contract, which governs the contract with our guests, is that the owner is entitled to be paid for the booking in place regardless of works. He / Us are renting the property to tenants and the expectation is that the guests living as a local. As a local you would be expected under French law to tolerate public works, private works, neighbour noise and local festivals. Nice is currently laying its third tramline from west to east across the city. This is wonderful news in the long term; a clean green tramline connecting Nice airport to Nice Port in as little as 26 minutes. However, during the development works some guests may experience higher levels of noise than what they would usually expect. 11.3 kilometres (approx. 7 miles) of tracks are being laid from the airport at Saint-Laurent du Var across to Nice Port, of which a considerable portion will be located underground. This will impact on several areas across the city. Although it is impossible to predict the exact locations where works are to be undertaken, an outline of the planned works can be viewed at Nice tramway web site. We will also be adding all the important updates to our blog. 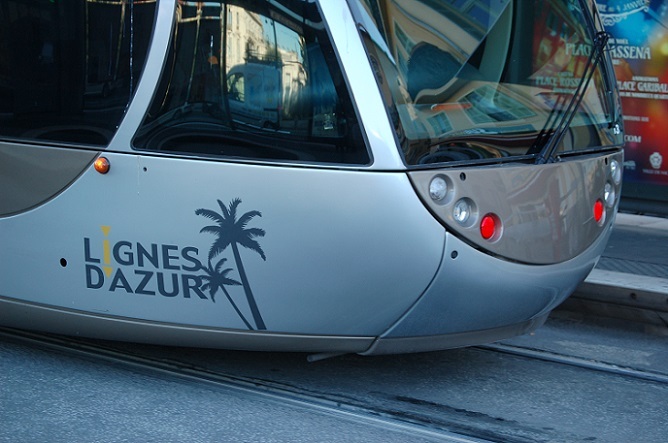 The Promenade des Anglais will not only be affected by the tram works but as part of the 2020 redevelopment strategy which will see a reconfiguration of the vegetation along the promenade to deliver greener, pleasant experience for cyclists and pedestrians alike. More information can be viewed at Nice-Matin web site. The tunnel will commence at the frontier of The Port and the Old Town, at the Mur du Quai Cassini and reemerge on the opposite side of the Old Town. Work will commence in October 2015 at the following locations: Garibaldi, Rue Antoine Gautier, Quai Cassini, Jean Médecin, Durandy, Alsace - Lorraine, Rue de France, Boulevard René Cassin, Avenue de la Californie with access to Boulevard Victor Hugo also being modified. Works are scheduled to ease by spring 2016- which should see a reduction in any potential building noise. There is no travel agency, hotel or holiday rental company who is able to say that a property will not be affected by city construction work. No compensation can be given for construction works caused by the tramway or other city improvement repair work. You can follow all of the latest updates on the west-east tramway website including weekly works schedules.